Real Madrid earned a hard-fought 1-0 victory against Granada thanks to a goal from Karim Benzema in a very difficult match for the hosts. 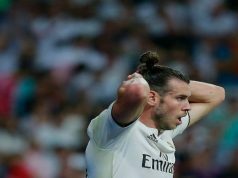 Granada played a good game and were close to savaging a point, but Los Blancos got lucky as the referee incorrectly disallowed a goal from El-Arabi. Goalkeepers Keylor Navas and Andres Fernandez were the best players of the match. The Costa Rica international has now kept five consecutive clean sheets since the official competition started. The first real opportunity of the game came to Jose Manuel Sandoval men as Edgar Mendez found space down the left and sent a wonderful cross towards Success, but the forward failed to make contact. With 20 minutes in the scoreboard, the visitors had the ball in the back of the net as El-Arabi converted a low cross from Success. However, the goal was disallowed for offside. The replay showed it was a wrong call. Madrid were also very active in attack but Andres Fernandez constantly denied them with superb saves. Before the half-hour mark he spilled a powerful Ronaldo free kick to the feet of Vasquez and got to his feet to make a super stop in the follow-up. Minutes later, Fernandez again made a spectacular save to deny Luca Modric, who had been set up by Ronaldo inside the box. Los Blancos ended up taking the lead in the first minutes of the second half, when Benzema headed a superb cross from Isco. The Spanish playmaker seemed to be in offside position when he received the ball, but it was too difficult for the referee to see it. After the goal, Granada increased their pressure and tried hard to level. Howerver, Keylor Navas put in a stunning performance to save his team. Right after the hour mark, El-Arabi danced into the hosts’ box and attempted to slide one into the bottom corner, but Navas made a wonderful save. Ronaldo also had two chances to extend his scoring run and seal the victory, but he was denied by Fernandez first and missed target later. 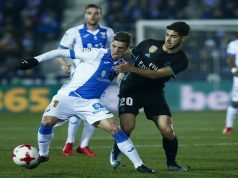 Rafa Benitez reinforced the defence in the last minutes bringing Casemiro in, and Los Blancos ended up securing three important points in the race to win La Liga. 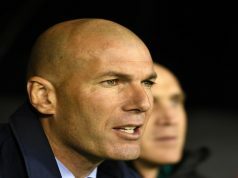 Previous articleReal Madrid vs Granada Preview: Another rout for Los Blancos?